Aoruri came out sometime in 2014 and I remember thinking the slightly dusty purple and blue looked perfect and that iridescent white top coat color was lovely. Then, I forgot about it and collected many Lunasol eyeshadow palettes instead because they appealed to me as excellent Suqqu alternatives with youthfulness (And, they are). I thought Aoruri had been long discontinued so I was very surprised to see that it's still available on Selfridge. I actually bought this in the spring but kept it unswatched for months. This would have been unfathomable a few years ago but I procrastinated for some unknown reason. Was I afraid to be disappointed or to end up loving the brand and start chasing their new releases so late in my makeup game? I don't know. Anyway, Aoruri is exactly how I imagined it to be. All colors blend and layer like dream. The complex pastel hues stay true till the end of the day. The white shimmery top coat gives this ethereal finesse to the look. I still love blue and purple eyeshadows but nowadays I find myself reaching for them less and even feeling uncomfortable wearing them sometimes. However, I can carefreely wear Aoruri thanks to its great balance between freshness and sophistication. The creamy and light texture is kinder to my now drier lids, too. 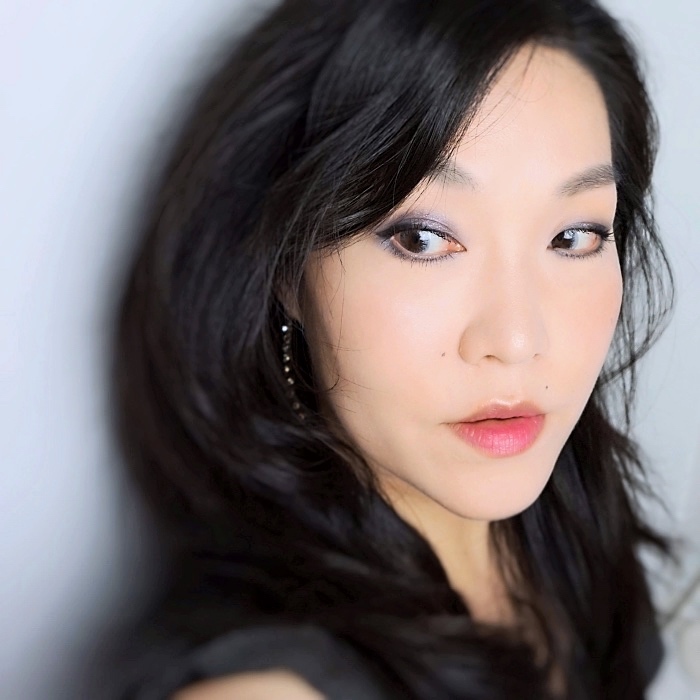 Here I am wearing some bold color contacts with shimmer but I think Aoruri looks best with my own dark brown eyes. 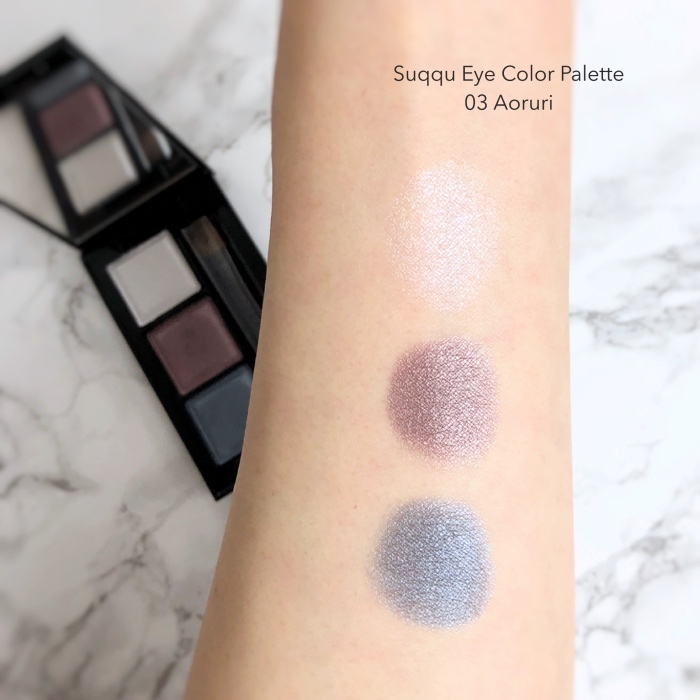 Aoruri turned out to be the perfect summer eyeshadow palette for me and left me wanting to try some more from Suqqu. I am afraid that I even want those impossible-to-find old ones such as Sakurakaba and Tsukiakari. Ah... these colors are absolutely perfection on you. Since the new formulations, the eye shadows don't have that same complexity though they are awfully nice. The old blend color palette (4 pans) were truly exceptional. I wish they hadn't been discontinued. Selfridges has ONE left on line (02 Kokedama). If you like silvery greens, it is beautiful. SUQQU made some very beautiful greens in the day. Oh it really is a beautiful palette! I love the way the colors meld which is unexpected given the colors. But what a pretty set for summer! I like that the colors are not too serious but not straight-up, either. And, they do sit so well on the skin! I think I only know this brand because of you Lena :) The shades look so pretty in the palette but they are even lovelier on you! The wear sounds very nice as well. These color are very interesting darling~ Even when are not my first pick de pigmentation is really good. I just tried Suqqu's products for the first time this year and I'm officially a fan too. Their eyeshadows have such a beautiful, refined finish to them, and they really do blend so well! I prefer neutral shades myself but the blue + purple look stunning on you! I saw your comparison post on your Suqqu & Tom Ford quads. They both look beautiful and make me want to get yet another neutral palette. LOL. 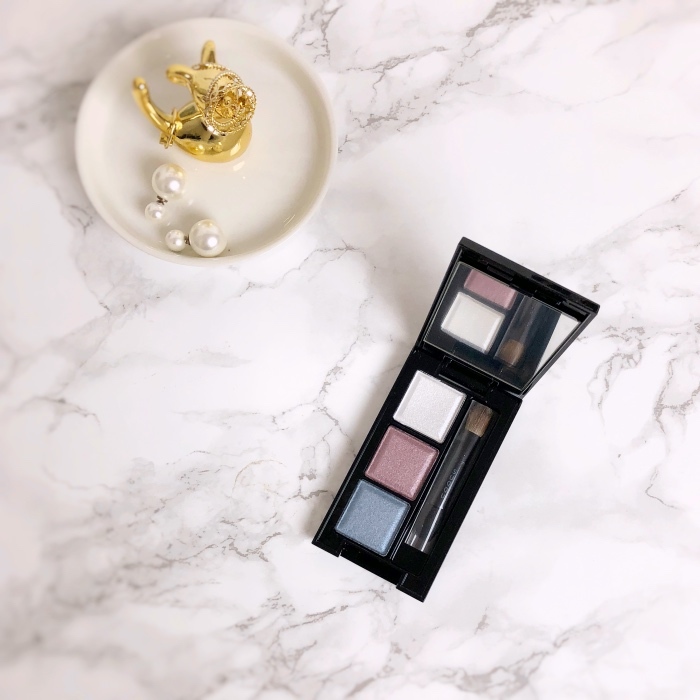 There is something about how Japanese eyeshadows blend and layer and Suqqu (and I might say Lunasol as well) is the finest example.